Should Your Optometric Practice Pay Hourly Or Salary? When you’re staffing an optometric practice one of the things you must determine is whether you will pay your employees an hourly or salary wage. While there are benefits for the employee and the employer for using both methods, payroll is complex, and your state may have unique laws surrounding it. Consult your attorney, CPA or Human Resource consultants for advice before making a final decision. In this post, we provide some tips to help you decide if you should pay your staff members an hourly or salary wage. For the most part, exempt employees are exempt from receiving overtime pay and the minimum wage rules. Employers must pay nonexempt employees a minimum wage and overtime because they are not exempt from FLSA overtime and minimum wage rules. 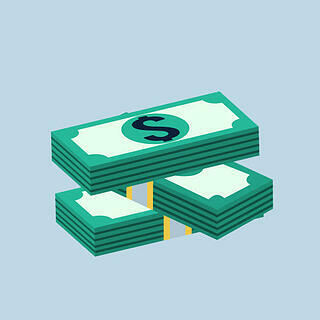 Salary based employees are paid a specific amount of money each pay period. Salary employees are typically exempt, but they may be nonexempt if their salary pay doesn’t meet the minimum salary amount. If you pay salary to a nonexempt employee, you may still be required to pay the employees overtime. An advantage of paying employees a salary is that it provides them with a predictable income which could lead to better job security and reduce your turnover rates. On the other hand, hourly employees receive compensation for the number of hours they work during the week. If the individual is a nonexempt employee and worked more than 40 hours in the week, they are eligible to receive overtime payment, which is at least 1.5 times the regular pay rate for hours worked over 40 in a workweek. For an employer, hourly-based payment provides you with the flexibility to schedule more staff members during busy seasons and only pay for the hours that the individual worked. However, from the employee standpoint, since the pay is based on the hours worked, the unpredictability of now knowing how many hours they will be schedule can impact job security and lead to high turnover rates. Need help determining whether you should be paying your staff an hourly or salary wage? Seek the help of a professional in your state. 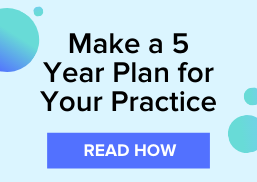 Subscribe to the VisionWeb Blog for more tips on running a successful optometric practice.